We bring our expertise in a broad range of technologies to bear on the development of the most cost-effective and efficient smoke control solution for your building, no matter how large or complex it is. Smoke and heat exhaust ventilation systems. Whether these are natural or powered, they remove smoke from the building. Inlet ventilators, dampers and ductwork are also often integrated into the scheme. Smoke containment systems. These prevent the movement of smoke and heat from one area to another. They take the form either of physical barriers such as smoke curtains or fire curtains, or as pressure differential systems, also known as pressurisation systems. Car park ventilation systems. Enclosed or underground car parks generally need ventilation systems to assist firefighting operations. These systems generally also prevent the build-up of carbon monoxide during normal day to day use of the car park. The system elements may include louvres, dampers, powered smoke extraction units, induction fans and impulse fans. 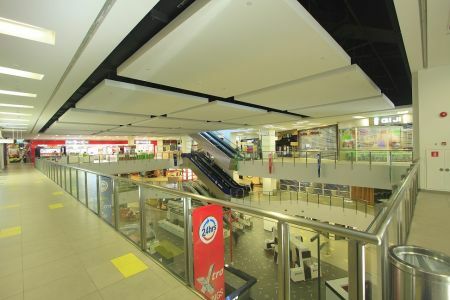 Every type of building presents different dynamics and requirements, and when you work with Colt, you can count on full peace of mind in every phase of the project and for the full life cycle of your system because our experts understand the engineering and architectural challenges of different buildings. Design the most cost-effective, no-nonsense solution engineered to meet your needs and any prevailing regulations, relying on our in-house technical resources such as CAD and CFD. Read more about the design support we offer. Advise on the prevailing regulations and standards. We have the expertise to deliver smoke control systems that satisfy both the architectural demands and the safety regulations. Supply our high quality products, manufactured under quality standards and third party tested to rigorous standards. Install and commission your system: our experienced, professional project management teams will take care of everything. We helped pioneer the science of smoke control and have been a major contributor to the research on the behaviour of smoke and fires since the 1950s. We are able to apply our extensive expertise to develop tailor made solutions for our customers and all these years we have built an enviable track record. Visit our projects pages.